Collection of properties) has received two nominations. Nominations for the 25th annual World Travel Awards have been announced, and the Zambezi Queen Collection (part of the Mantis Collection of properties) has received two nominations. The luxurious Zambezi Queen has been nominated as Africa’s Leading River Cruise Company and Ichingo Chobe River Lodge has been nominated as Namibia’s Leading Tented Safari Camp. The World Travel Awards is recognised globally as the ultimate hallmark of quality, with winners setting the benchmark to which all others aspire. 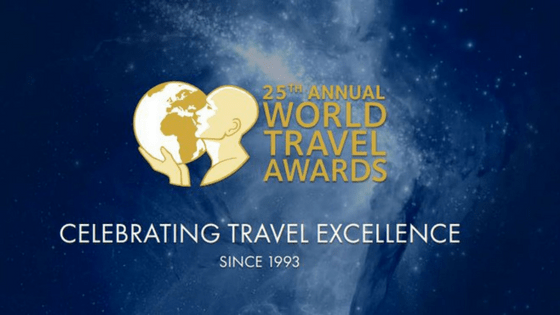 Each year, World Travel Awards covers the globe with a series of regional gala ceremonies to celebrate the achievements of the travel industry. Ichingo Chobe River Lodge was named Namibia’s Leading Tented Safari Camp at the 2017 World Travel Awards, and the Zambezi Queen has been awarded the coveted title of the World’s Leading Boutique Cruise at the Awards five times. Lisa Dyboll, Director of Ichingo Chobe River Lodge is thrilled with the nominations. “To be nominated in the World Travel Awards again, affirms the commitment to excellence our properties and our team have demonstrated over the past year. We are incredibly proud of all of the properties under the Zambezi Queen Collection banner – each of which offers something so unique”. 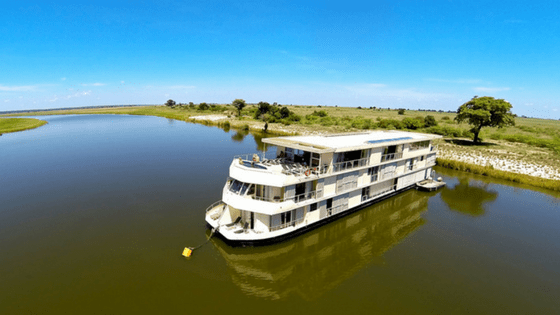 The Zambezi Queen is a 5-star, 42-metre long luxury houseboat offering supreme sophistication along the Chobe River – one of the most remote locations on the planet. Unlike a land-based lodge, the Zambezi Queen navigates roughly 25km of the Chobe River, allowing guests to explore different vantage points and enjoy unparalleled game viewing. 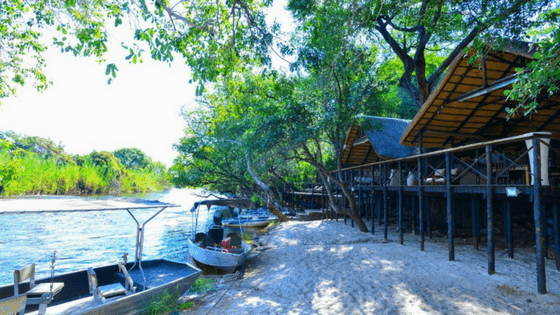 Ichingo Chobe River Lodge features eight large air-conditioned Meru safari tents set on a secluded island beneath a riverine canopy on the banks of the Chobe River. Guests can step out on to their own private balcony to listen to the rapids, relax on their sumptuous bed and then head to the dining room or bar for something delicious to eat or drink. Because of its unique geographic location, the game viewing and birdwatching in and around Ichingo Chobe River Lodge is second to none. The lodge’s location is particularly well known for its high quality fishing in over 100kms of the Chobe and Zambezi Rivers, where avid fishermen can hook tiger fish, bream and several other fresh water species. Voting for the Africa regions is now open. Votes are cast by both travel professionals and consumers, ensuring that only the most deserving organisations walk away with one of these prestigious accolades.